1st grade math quiz on money in which students will learn: how to count pennies, nickels and dimes. There are also activities involving identify dollar notes. 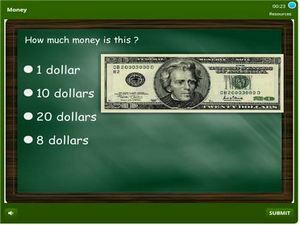 Students will also solve some word problems involving money e.g. 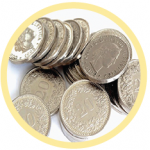 shopping activities that do or do not entail getting a balance. This quiz is relevant to activities most first graders are used to doing which entails earning and spending money. Review this skill by taking this quiz and track your score as you practice along.